My flower sugar art inspired by the different Grace Stevens workshops I have attended, is slowly starting to improve and I am enjoying using the different techniques including the dusting of edible colour onto the flowers. 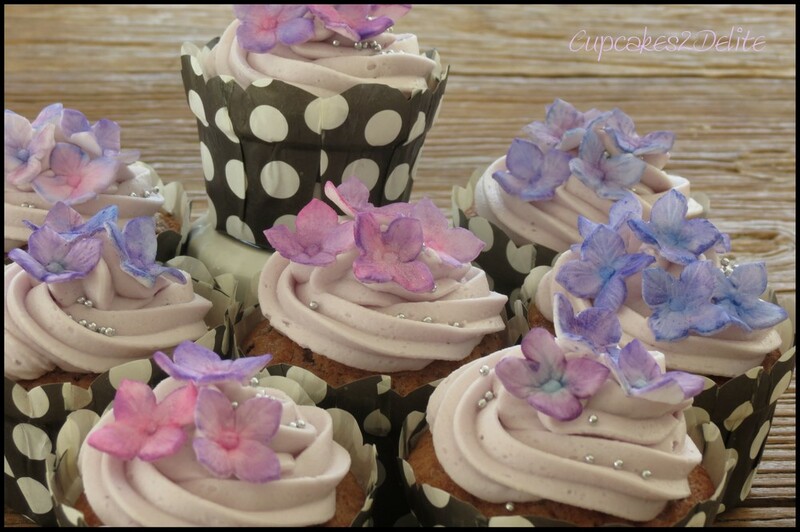 These pretty lilac and pink shaded hydrangea cupcakes were ordered by Tracy for the celebration of Shaunagh’s 50th birthday with her book club friends. 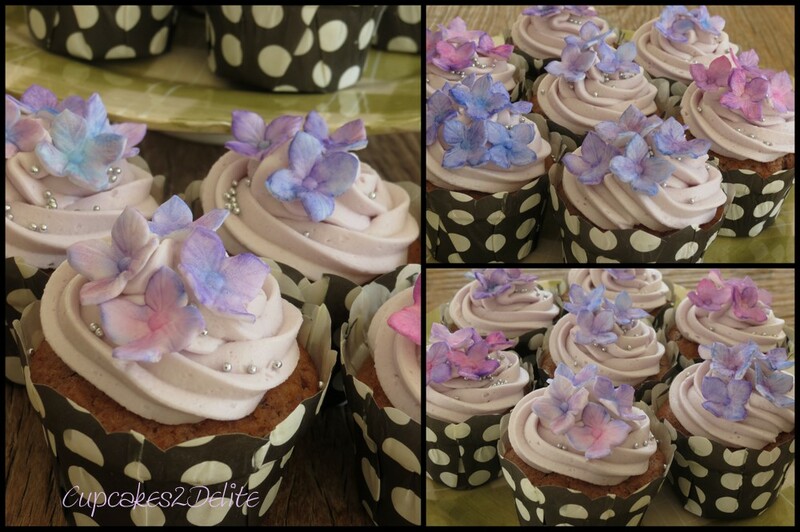 In keeping with the lilac colour scheme I made vanilla cupcakes with the addition of generous bits of Lindt Blueberry Chocolate in the vanilla mixture. 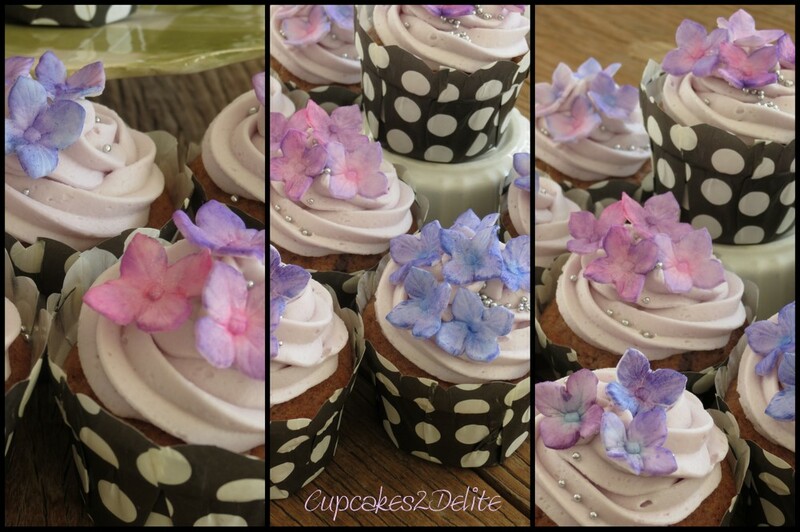 The icing is also a pale lavender and I used tiny silver beads sprinkled among the flowers to add to the dainty effect of the hydrangea blossoms.